Highest vs lowest uric acid levels associated with a 2-fold increased risk of VTE. 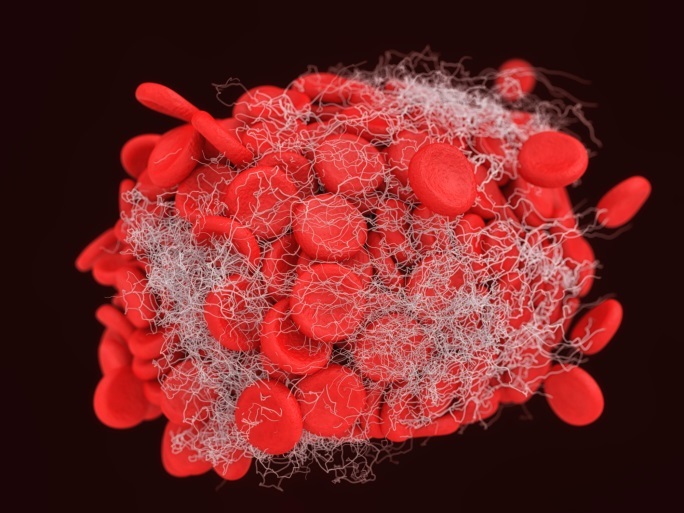 Elevated serum uric acid (SUA) is associated with an increased risk for venous thromboembolism (VTE), suggesting that SUA could be a novel risk factor or marker for the condition, researchers concluded in Thrombosis Research (2016;144:144-148). Yasuhiko Kubota, MD, School of Public Health, University of Minnesota in Minneapolis, and colleagues analyzed data from 14,126 participants in the Atherosclerosis Risk in Communities Study aged 45 to 64 without a history of VTE or gout. They obtained information on incident gout from 1987 to 1998 from 10,247 participants. The researchers documented 632 incident cases of VTE. In a fully adjusted model, individuals with the highest level of SUA (8.7 mg/dL or higher) had a 2-fold increased risk for total VTE compared with those who had the lowest level (4.9 mg/dL or less). Individuals with incident gout had a non-significant increased risk for total VTE, but Dr Kubota’s group said this probably was because of limited statistical power (only 40 gout cases developed in the study population). Another possibility may be that gout treatment with anti-inflammatory or SUA-lower drugs may sufficiently decrease vascular inflammation such that the excess risk of hyperuricemia-associated VTE is prevented.